Cucumbers can freshen up and moisturize your skin. 2 Can Any Home Remedies Get Rid of Acne Scars if You Have Sensitive Skin ? Cucumber is not only a healthful addition to your diet, but it can have positive effects on your skin. When applied topically, it can soothe irritated skin. Cucumber's hydrating qualities have also made it a popular ingredient in beauty products and cosmetics. At home, you can mix it with a few easy-to-find ingredients and create your own personal moisturizer. Not only will this save you money, but you'll be putting an all-natural product onto your face that is completely free of harmful chemicals. 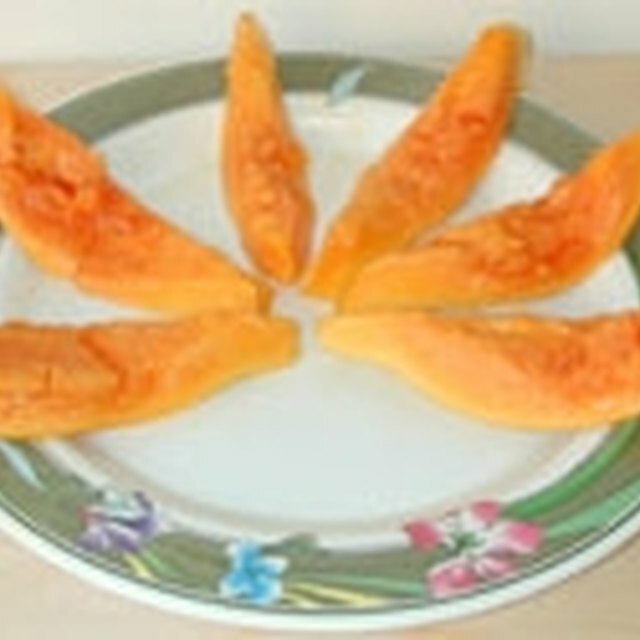 Peel a large cucumber and cut it lengthwise into spears. Carefully scoop out the seeds with a spoon. Cut seedless pieces into chunks. Throw cucumber chunks into a blender and puree on a medium setting. Place paraffin wax in a microwave-safe dish and heat on medium power for 90 seconds. Remove dish from microwave and stir in 2 ounces of carrier oil. Add pureed cucumber and stir. Let the mixture stand for two to three minutes, stirring occasionally. Pour cucumber mixture into a glass jar. Tightly close the lid and place it in the refrigerator to cool further. Store in the fridge until you plan to use it. Apply cream onto your face at night to smooth and moisturize tired skin. Do not rinse off. You can also use cucumber to soothe eyelids. 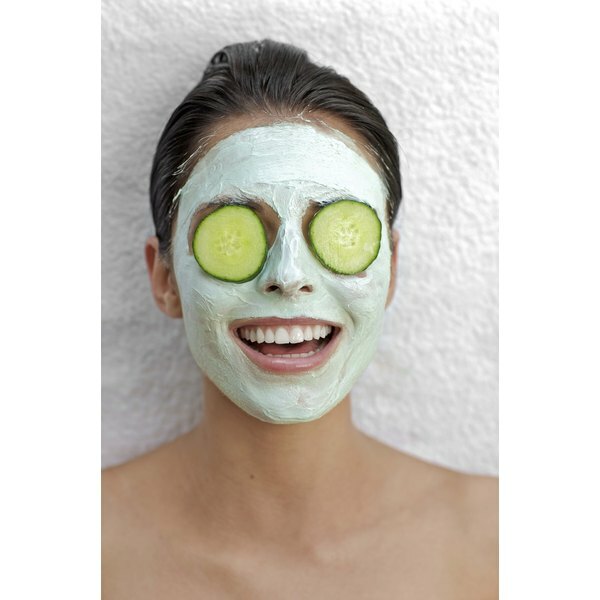 Just chill a cucumber, cut a couple of slices and place on closed eyes to reduce puffiness. Aroma Web: What Are Carrier Oils? Stacey Beth is a style writer and fashion stylist who has been writing about fashion for over a decade.